The first film workshop called “Cikore Filmja” was organized last week, with the participation of 17 young Roma people from all over Kosovo as part of an initiative taking place alongside Rolling Film Festival since 2011. More Raça, the Rolling Film Festival Coordinator discussed with the participants methods of filmmaking and visual storytelling with youth while Faton Mustafa has introduced the basics of filmmaking. Raça is a well-known director whose film “AMEL” recently won seven prizes all over the world in addition to two special mentions, while Faton is an independent filmmaker who has collaborated with Balkan Sunflowers and Romawood on many film projects. Sefer Bejzak, one of the participants, said that he is very happy to be offered such an opportunity to learn the basics of how to make a good short movie, especially when it comes to transmitting a social message. Ersan Berisha, also a participant, says that after the lectures he had in this workshop he is would like to try directing a movie too. 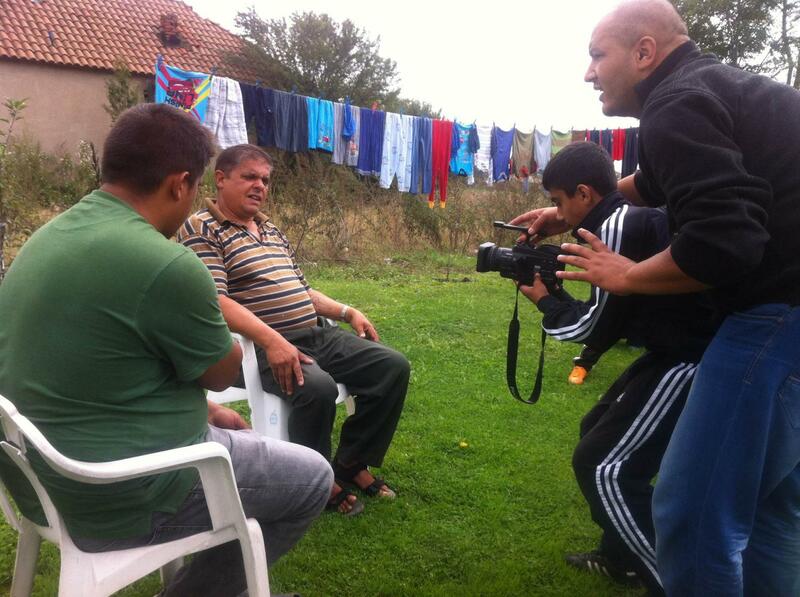 Rolling Film Festival believes that this project can promote the empowerment of Roma youth through filmmaking. While many youth groups in the Roma community face certain barriers and restrictions limiting their ability to benefit from freedom of movement and integration with Europe, the use of social media has had a significant impact on information sharing platforms that are available to them – particularly among youth.